I don’t know about you, but I LOVE December. It is the best weather in Thailand, also it is the holiday season so everyone seems to be more happy than usual. I love hearing Christmas songs that are being played everywhere. 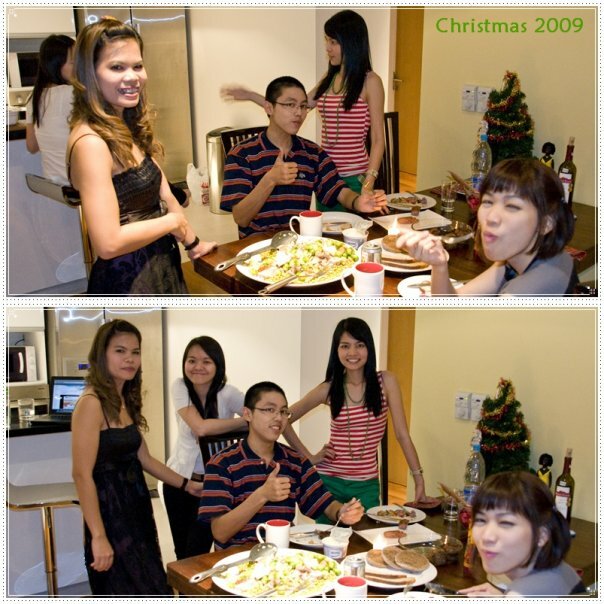 Most Thai are Buddhist but we love to celebrate any occasion, so some Thai also join Christmas parties and enjoy the beautiful time of Christmas. 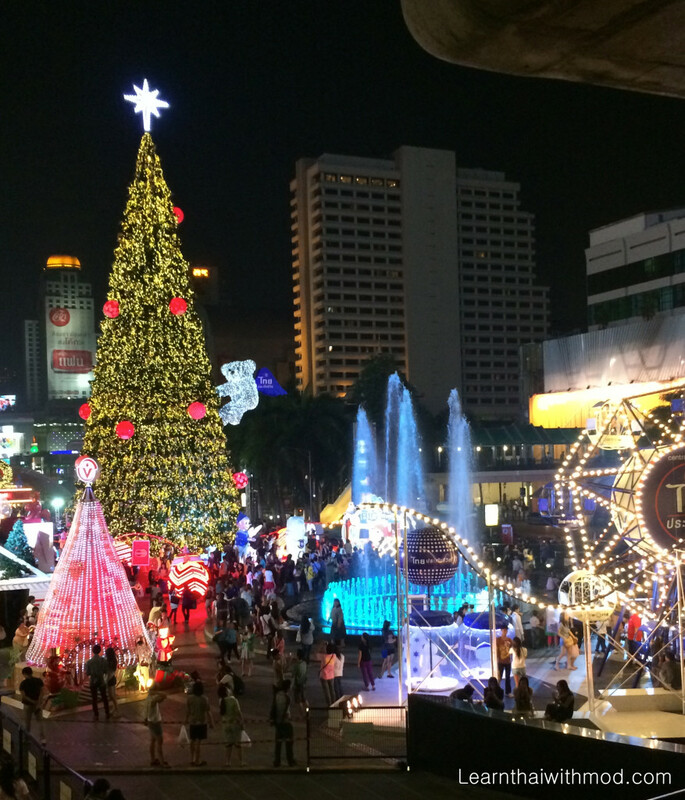 Last Friday night I went out to get some photos of Christmas lights in Bangkok downtown. 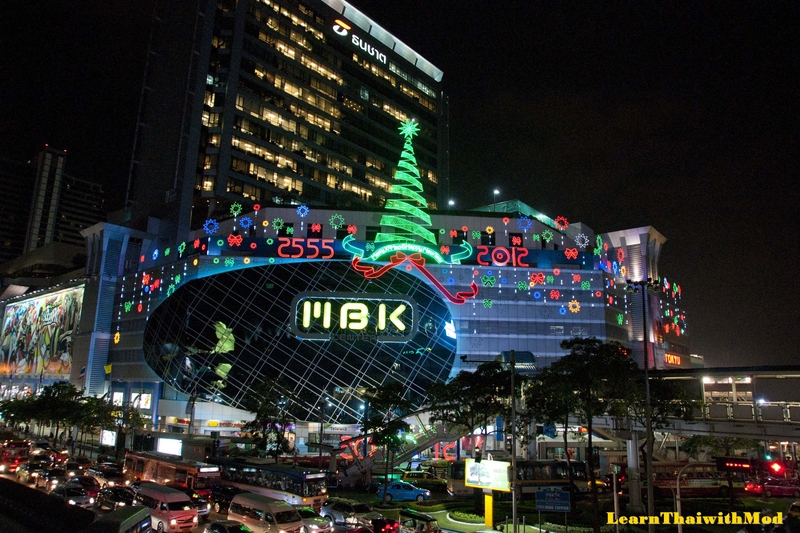 The Christmas decorations in Bangkok usually go up at the end of November. You will mainly see them at the large shopping malls. Just a five minutes walk from MBK, I reached Paragon shopping mall. It was Friday night so it was full of young and old people who came to take photos with all these Christmas decorations. 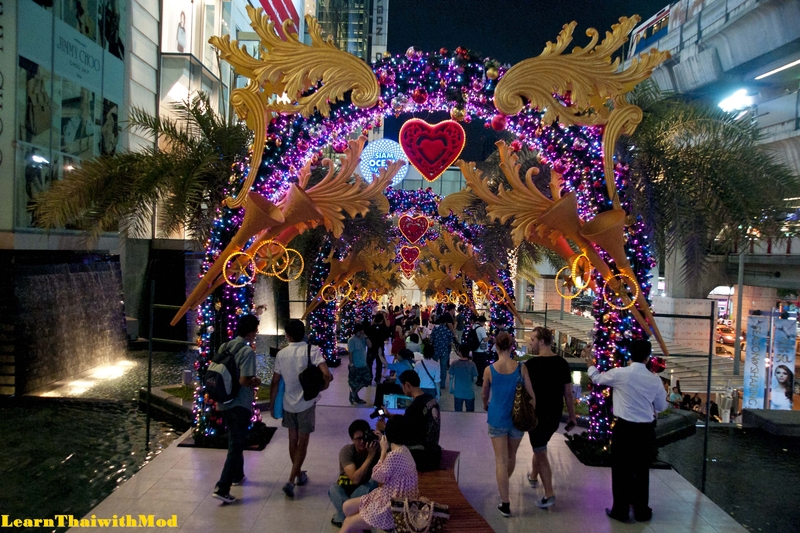 Then, I continued my walk to Central World shopping center which is another 10 minutes from Paragon. 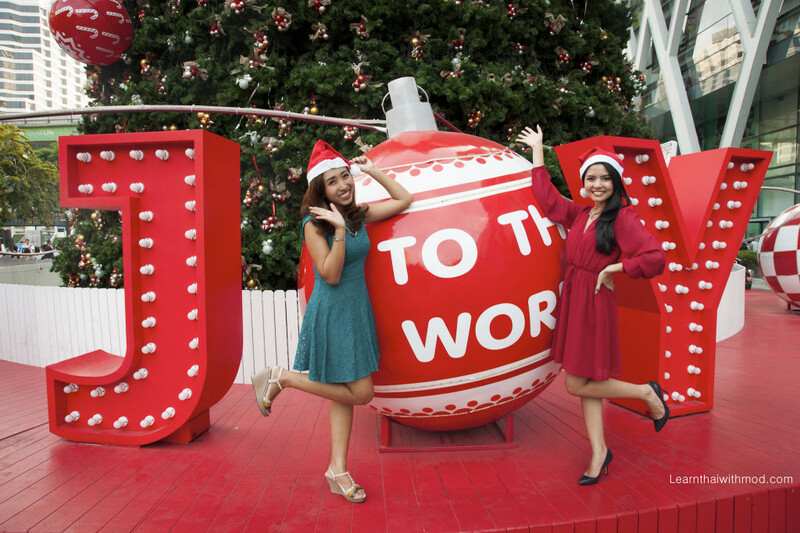 Here, they have the largest Christmas tree in South East Asia. It is really tall! and of course more people were taking photos of themselves with this tree and other decorations. 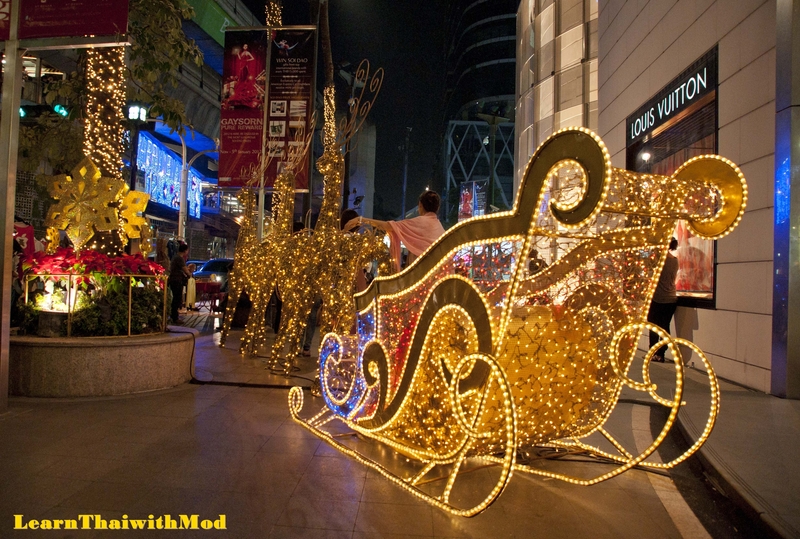 I crossed the street to Gaysorn Plaza and found this nice Santa’s sleigh. 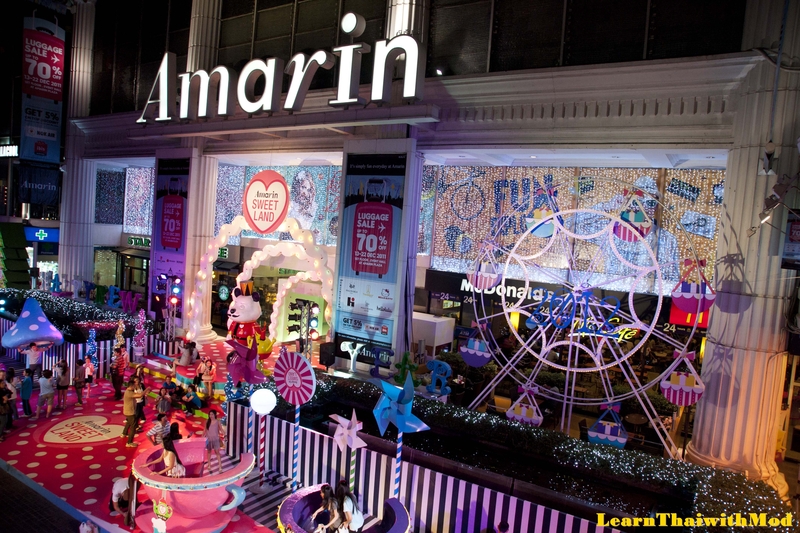 Just across the street, there is another creative Christmas decoration in front of Amarin Plaza. The theme is “sweet land”. 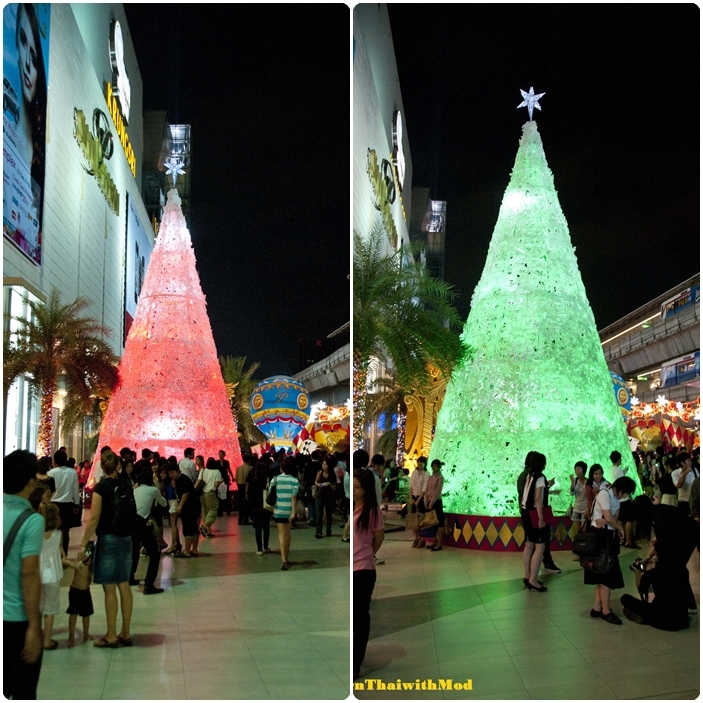 For Thai people, Christmas and New Year is one long event that has been merged into one celebration, so these trees will stay up until the end of January. 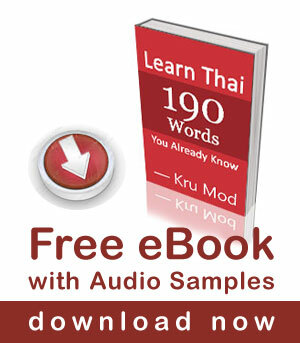 We Thais love celebrating. 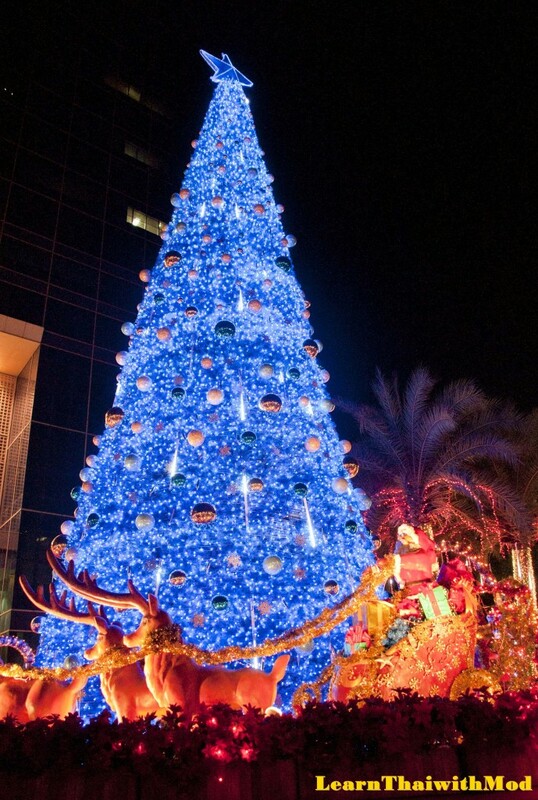 If you are staying in Bangkok you may also find that your hotel has a Christmas tree and they will likely organize a Christmas dinner as well. 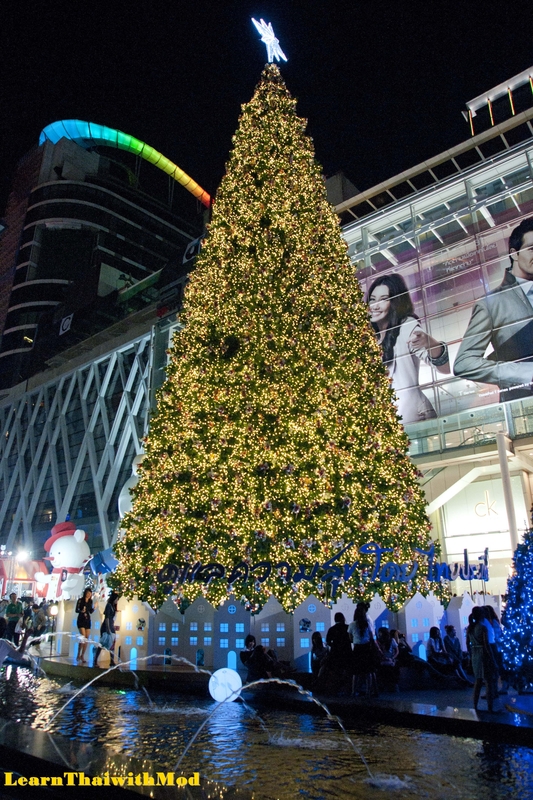 Christmas light in front of Central World shopping mall. 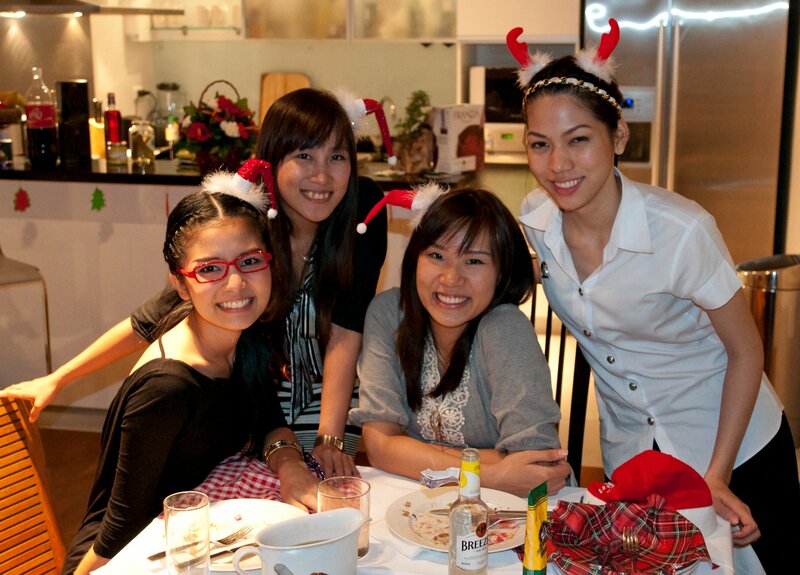 My little Christmas celebration at home. I hope you enjoyed my picture. 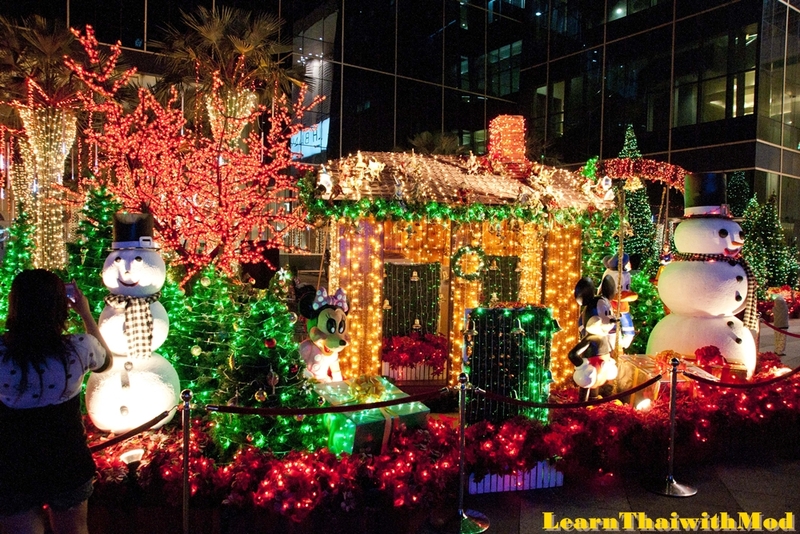 Let’s learn to wish Merry Christmas in Thai with this video. The general public just respond to all the hype…look at Halloween hahahaha Easter next!